Cost to install porcelain tile floor varies greatly by region (and even by zip code). Get free estimates from florists in your city. Cost to install porcelain tile floor varies greatly by region (and even by zip code). Get free estimates from florists in your city. The average cost of installing of porcelain tile floor is $1,900​. How much does it cost to install porcelain tile floor? Porcelain tile is a unique material made from compressed clay dust that has been fired to extremely high temperatures. Much denser, harder, and more durable than ceramic tile, porcelain makes a low-maintenance and attractive covering for any floor. Porcelain may be glazed, polished, matte, or textured on the surface. The color often extends straight through the tile, so that any potential chips or cracks aren’t noticeable, as they do not lead to a color change. That said, porcelain is very unlikely to chip or crack when installed correctly, making it a suitable floor covering for any room in the home. Many homeowners install porcelain in areas that see a lot of traffic or use, such as mudrooms, kitchens, bathrooms, hallways, and entryways. It comes in many styles, sizes, colors, and finishes, and can complement a wide range of different home decors. The average cost of porcelain tile installed is around $9.50 per square foot, so the average installation of 200 square feet will cost around $1,900 for the tile and installation combined. To get the most accurate costs and to ensure that you have enough tile to complete the installation, the first step is to measure your floor. Porcelain tile is sold by the square foot, with most types of tile being sold by the box, meaning that you need to round up to the nearest full box of material. To measure your floor, measure the length and width of the room in inches. If there are jogs or bump-outs along the walls, measure each section separately in inches. Multiply the length and width of each section together and divide by 144, the number of square inches in a foot. This will give you the total number of square feet of the space. Add up each of the different areas to get the total square footage of the area you are tiling and round to the nearest whole foot. Keep in mind, that for a straight-set porcelain tile installation, you will need an additional 5% to account for waste, cuts, or breakage. If you intend to install the tile on the diagonal or in a pattern, you will need a minimum of 20% extra. It’s always a good idea to have some extra tile on hand for the future in the event of a breakage or repair job, so always round up to the next nearest box size, not down. Porcelain tile is fairly easy to install over any level subfloor 1. If your subfloor moves or shifts, or if it isn’t level, then a concrete backerboard is generally installed first, then the porcelain tile is installed over it. 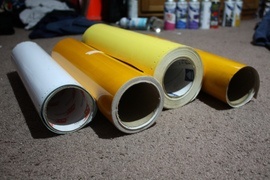 Backerboard costs around $5 per foot. If your subfloor is in good condition, but not entirely level, it is possible to use a self-leveling floor compound over the subfloor, beneath the porcelain. Self-leveling floor compound is poured onto the subfloor, where it seeks out highs and lows and levels them. The compound costs around $40 per bag, with this generally covering at least 200 square feet. Porcelain tile makes a great, low-maintenance option for many floors, but it isn’t always right for every application. Porcelain tile is non-porous, durable, scratch resistant, and freeze/thaw resistant. It can be cleaned with anything and does not require sealing or special maintenance or care. Porcelain can be made to mimic the look of many other materials, including stone, metal, fabric, and glass, as well as wood. It comes in many styles and sizes, so finding one that can suit your decor and needs is simple. Porcelain tends to be more expensive than ceramic, with average costs starting at $5 per foot. More exotic and large format porcelain tiles can go as high as $30 per foot. Glazed porcelains may be slippery underfoot, although not all porcelain is glazed. Because the material is non-porous, polishing or glazing can create a very slick surface that can be difficult to walk in in certain shoes or in certain conditions. Porcelain can be very difficult to cut, and requires a diamond wet saw and sometimes cooling oil. Large format porcelain may require backbuttering to install properly, which can increase installation costs. Look for tiles that are rectified or that have been machined on the edges to decrease the size of your grout 2 joints. Porcelain tile is often confused with ceramic, as both are made from clay. However, porcelain has a set of characteristics that vary tremendously from ceramic and other materials. PEI: porcelain’s PEI or Porcelain Enamel Institute rating ranges from a 4 to a 5, depending on the manufacturer and the surface texture. COF: porcelain’s COF or Coefficient of Friction rating is a minimum of .6 or higher, with .42 being the lowest acceptable rating for indoor tile. Texture: porcelain can be very smooth and ground to a high-gloss finish, or it can be very high textured. Porcelain can be given a glaze to have it mimic the look of other materials such as wood, fabric, or metal as well. Cutting: porcelain tile is very dense and hard to cut with nippers. It cannot be cut using the score and snap methods and requires the use of a tile wet saw. Use: porcelain is suitable for use indoors and in exterior applications, and is not affected by freeze/thaw conditions. Density: porcelain has a breaking strength of more than 450 pounds of pressure per square inch - higher than even high-density ceramic tile. Water absorption rate: porcelain’s water absorption rate is less than .5%, meaning that it absorbs very little water. Price: porcelain’s average price is around $5 a square foot, but can go as high as $30 a square foot for some luxury tiles. Porcelain also comes in solid-colored tiles in a range of sizes in polished, matte, and textured finishes. In many ways, installing porcelain tile is like installing any other tile. The substrate should be clean and level 4, free of any debris or movement when pressed. If necessary, new concrete backerboard should be mortared 5 and screwed down to the existing subfloor 1, or a self-leveling floor compound poured over the existing flooring. The average cost of labor for tile installation is around $4 per square foot 2. For intricate patterns or severely unlevel floors, this price could rise as high as $7 per square foot. Porcelain tile is non-porous with very low water absorption. Therefore, it does not require sealing to impede staining the way stone or crazed ceramic tiles do. However, if you are not using a pre-sealed or epoxy-based grout 2 with the tiles, your grout should be sealed. 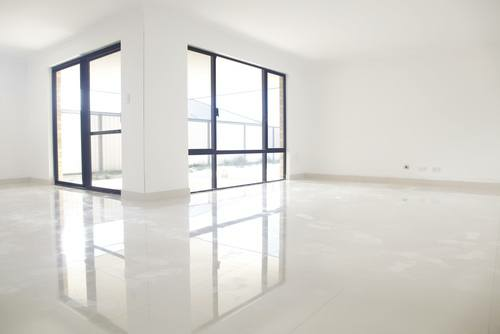 And, if you find that your porcelain is slick underfoot, some types of sealers, such as Miracle Sealants, can increase traction and slip resistance on porcelain tiles as well. Sealing will not change the appearance of the feel of the tile. Porcelain is one of the easiest flooring materials to care for. It doesn’t stain or scratch and it doesn’t require special cleaners. Sweep up debris as necessary, and mop with your favorite floor cleaner. If the grout 2 stains, you may want to consider sealants for this area, otherwise there is no specific maintenance involved in porcelain upkeep. Porcelain tiles may be created to mimic the appearance of marble as well as other natural stones. Porcelain may also be polished to a high-gloss finish that is reminiscent of marble. However, the two materials are very different in terms of makeup and maintenance. Marble is a natural, metamorphic stone made primarily of calcite. It can stain, scratch, and etch and requires sealers and the use of PH neutral cleansers to maintain its appearance. Because marble is porous, it is actually less slippery than porcelain, even when polished. And because of those pores, the appearance of a polished marble tile will not be quite as reflective as the appearance of a polished porcelain tile. Both marble and porcelain tiles can be found in many sizes, finishes, and colors. Both can be bullnosed on site. Marble should not be used in steam showers or very wet areas, as it may stain; porcelain can be used in these areas without any issues. Both porcelain and ceramic tile are made from clay, and both can come in many different styles and finishes. The comparison ends there, however. 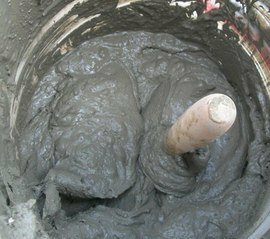 While porcelain is made from compressed clay dust that has been fired to high temperatures, ceramic tile is made from extruded wet clay fired to lower temperatures. 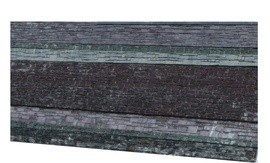 Ceramic tile may be fired once - monocottura, or twice - duocottura. Duocottura and high-density ceramic tiles have lower water absorption and better strength, but are still more porous and weaker than porcelain tile is. Not all ceramic tile can be used on the floors; many ceramic tiles are rated for wall or counter use only, while all porcelain tiles can be used on either the walls or the floor. The biggest difference in appearance between the two has to do with the top surface. Ceramic tile is always glazed, while porcelain tile may have a color-through clay body or it may have a glaze, and in some cases both. Ceramic tile cannot be bullnosed on site and must use a separate bullnose tile to complete the edges of installations. Ceramic tile costs begin at less than $1 per foot 2 but can go as high as $30 per foot 2 for some handmade tiles. Even the strongest tiles sometimes need replacement. For example, if you are having work done in a bathroom a leak causes some of the tiles to come loose, you may need to replace them. This is why it’s best to have some extra or additional tiles on hand from the original installation; it can be difficult to match the dye lot from older tiles to newer ones even from the same manufacturer. Porcelain tile is fairly easy to replace. It can be removed with a chisel and a pry bar, and the old mortar 5 chiseled out down to the subfloor 1. If more than a few tiles are being replaced, however, your costs will go up considerably as the cost to remove the old floor will need to be factored in. 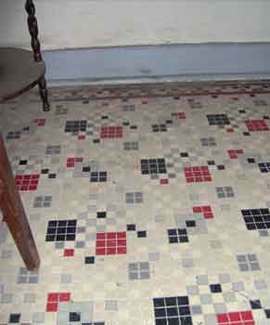 Old porcelain floors are removed by chiseling or breaking the first tile in a row, then inserting a pry bar beneath the edge of the surrounding tiles and pulling them loose. 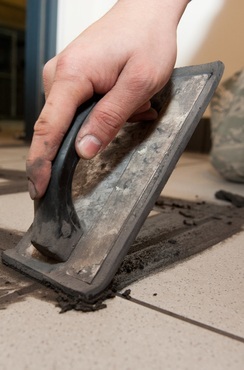 A floor scraper is used to remove the old mortar from the floor before the new tile can be put down. You can expect this tearout to increase costs by about $1 to $2 per foot, or you can handle the tearout yourself to save the difference. If you need to remove the old floor first, your costs will be higher than if you are tiling directly onto another material or a subfloor 1. 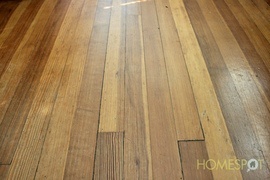 The cost to remove the old floor can vary tremendously, though, based on what is already installed. Some very old vinyl 6 floors contain asbestos 7, for example, while old linoleum 8 glue gets stronger as it ages, making it hard to pull up. For a 200 square foot tile installation, your costs could range from $200 to $2,000 depending on what you are having removed. In most states in the US, tile installers need to be licensed. Always quotes from a minimum of 3 installers before hiring one to do the job so you can compare costs and find the right fit. Always get the quote and the timeline for the project in writing. Save money by purchasing the tile and other materials yourself, rather than getting charged extra by the installer. Remove the tiles from the boxes as you get them, and mix them together to blend colors and avoid clumps of color on the floor. Ask any relevant questions to ensure you understand the process and can make informed decisions about the project. By waiting for the contractor’s down season, you may get a discount on the labor portion of the project. Intricate tile patterns and rooms with odd angles can increase labor costs, as well as material costs for the project. Repairs to old subfloors can also increase costs by about $25 per sheet of material. Porcelain tile cannot be floated the way that some flooring materials can, meaning that it cannot interlock with itself and avoid being mortared 7 5 to the floor below. However, it can in some cases be used to encapsulate a floor below, being installed directly on top of linoleum 11 8 and some vinyl 9 6 tiles. To do this, you must ensure that the old floor is in good shape and is not peeling or coming loose in any way; if the old floor is peeling, then the new installation will not hold. The cost to install over an existing linoleum 11 or vinyl 9 floor is the same as it is to install over a subfloor 8. Which porcelain tile is best? The best porcelain tiles are a minimum of ⅜-inch in thickness and have been rectified to have straight, clean edges that can minimize the size of the grout 2 joint 9. Look for tile with a color-through clay body if bullnosing is necessary for the job. Porcelain tile is made from compressed clay dust that has been fired to very high temperatures. Ceramic tile is made from extruded wet clay that has been fired to a lower temperature. Ceramic tile always has a glaze, while porcelain may have a color through clay body, a glaze, or both. What is a porcelain floor tile? Porcelain floor tile is a man-made material created from clay dust that has been compressed into a mold and fired to very high temperatures. It has a low water absorption rate, high density, and a PEI rating that makes it ideal for commercial and high traffic settings. Which floor tiles are best? The best floor tiles are easy to maintain, do not scratch, chip, stain, or require a lot of maintenance. Porcelain tile is a very dense, durable, and maintenance-free option that comes in many colors and styles suitable for most homes and businesses. 4 Level: The process of evening out the ground's surface, making it either flat or sloped. 7 Asbestos: A group of fire-resistant silicate minerals found in construction materials including paint, particularly in older homes. When the asbestos deteriorates, particles can become airborne and this is a serious health hazard. How much does it cost to install porcelain tile floor in my city? Cost to install porcelain tile floor varies greatly by region (and even by zip code). To get free estimates from local contractors, please indicate yours. An image has been added for a better understanding of the project and also, a summary with the cost of the project has been added to help the user find this information faster.